Email spam may have been the original recipe. But guess what? Spam now comes in many flavors. With machine learning-powered email filters, fraudsters have turned elsewhere to get their messages across: online communities, social networks, marketplaces, forums… anywhere you can post user-generated content. The glut of comment spam and fraudulent social posts across the internet is enough to make users lose their appetite. These posts often contain links used for phishing, malware distribution, or to promote a shady business. This ploy starts out sweet, but leaves a sour taste. Catfishing fraudsters create fake profiles to trick users into thinking they’re someone else, wooing victims slowly over time. Some fraudsters create profiles simply to harass and manipulate others. These unsavory crimes consist of two parties who are working together to launder money, or a buyer and seller who are actually the same person. A fraudster posts fake listings, then buys their own item – often using a stolen payment method. Something smelling a little off? Users who receive suspicious or spammy messages on your site may leave the platform altogether. No one wants to be harassed by scammers when they’re trying to connect with others or simply buy something. Talk about a spam binge! Bot attacks happen in waves, requiring engineering help to prevent them from creating wide-scale damage. Spambots scrape content and keep changing their approach, making them nearly impossible for humans to detect. In this unpalatable scheme, malicious sellers create phony listings, then ask buyers to complete the transaction off-platform to defraud them. Fraudsters also hijack existing accounts to run scams, complicating operations. Equally unappetizing is when fraudsters turn their attention to renters. Posting professional pictures of properties they don’t own, they coerce house-hunters into making deposits off-site or sharing valuable personal information before they realize the risk. Lots of artificial ingredients here! Using fake profiles, scammers post fraudulent job listings and crowdfunding campaigns to swindle jobseekers and donors. They can gain personal info used for identity theft or ask applicants to send them fees off-platform. This one is rotten to the core. Bad actors can leverage the mass distribution of these platforms to harass others, make threats, and commit extortion – leading to a loss of trust in the entire community. At best, trolls are annoying. At worst, they’re dangerous. 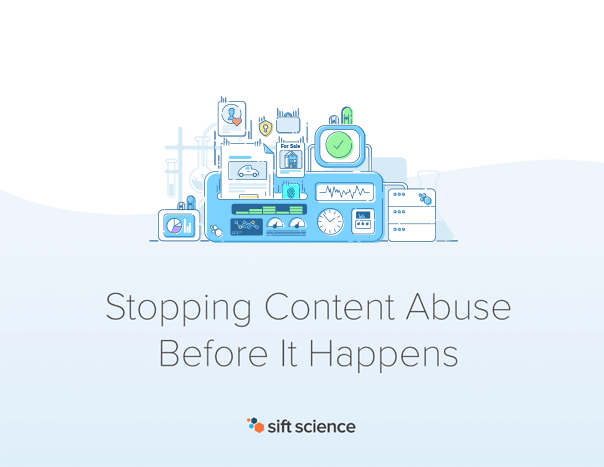 Download our Ebook to protect your community, brand, and bottom line from the impact of fraudulent content.